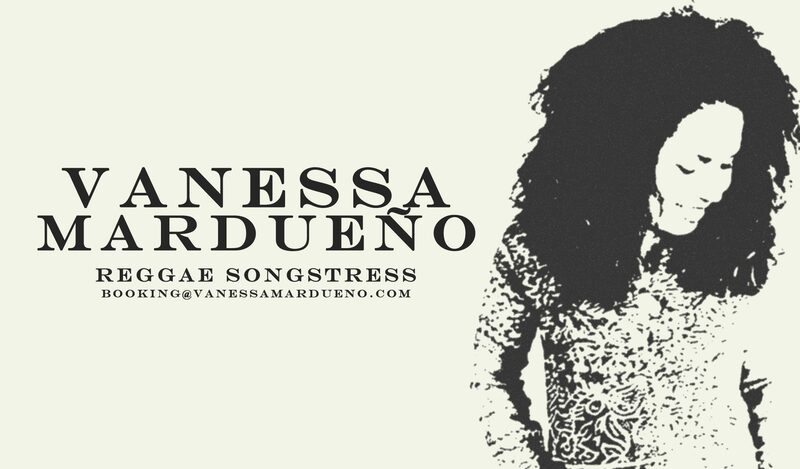 East Los Angeles native, Vanessa Mardueño, is known for her unique “Eclectic Reggae” sound, combining folk, latin, and jazz elements with a reggae base. She got her start opening for LA based bands, Ozomatli and Quinto Sol. In 2004, she embarked on a spiritual journey that birthed the reggae album “Oh My Soul” (2012), produced by award winning reggae artist and composer, Mark Mohr. In 2012, Skipstone Pictures faith based film, Hardflip, featured “Hidden” on their soundtrack and in 2014, Vanessa was nominated for two Caribbean Gospel Marlin Awards: International Caribbean Album of the Year (Oh My Soul), and International Caribbean Recording of the Year (No One In This World).